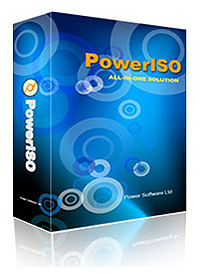 PowerISO – utility for processing and file compression allows you to create, extract, compress, edit and convert image files ISO / BIN, and mount these files with internal virtual drive. Most importantly – the files can be used directly without decompressing. There is support almost all formats of image files CD / DVD (ISO, BIN, NRG, DAA and so on ..Create, edit, extract, convert, compress, encrypt, mount CD image file!!! New “DISM Tool” function is available. Can config shell context menu. Improve dmg and wim file support.